If the video resonates with you, click below to get my toolkit, and let's get you started on changing your story? First - I have some resources for you to get started with right away. My End Anxiety Toolkit is FREE and includes video, audio to stop panic attacks and my "LEAN IN" ebook - I get feedback regularly that people get IMMEDIATE relief from these resources. 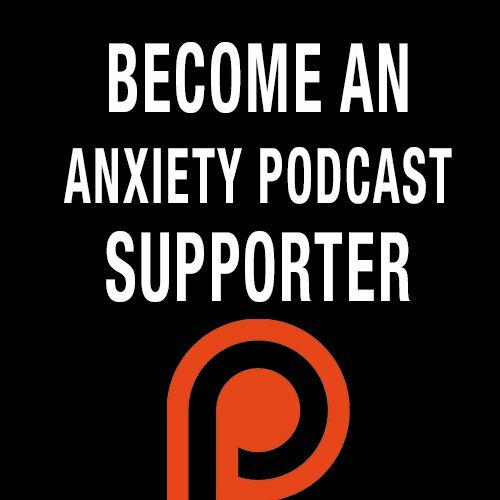 Second - You can start listening to some of the awesome Podcast episodes about learning how to overcome your anxiety. I pour my heart and soul into the podcast and am proud of every single episode. Third - How to Eliminate Anxiety and Find your Passion and Excitement for Life Again.... in Just 5 Weeks. This course contains over 5 hours of video and gives you the ability to email me with any questions you have. To watch a video about the course click the button below. Fourth - Grab a copy of The Anxiety Journal - a self accountability tool to get you feeling better one day at a time. "Halfway through my Anxiety Journal. (Please note I have been three years in CBT as well - on and off) I wanted to add that it has been an incredible tool. I've learned to be more mindful, slow down, and truly engage with myself. This month I have made a 'What would make tomorrow brilliant?' goal. Travelling alone has always been a scary thing for me. This month I will be taking a 2 day jaunt to another city by myself. Very anxious, but also VERY determined to do the the thing.